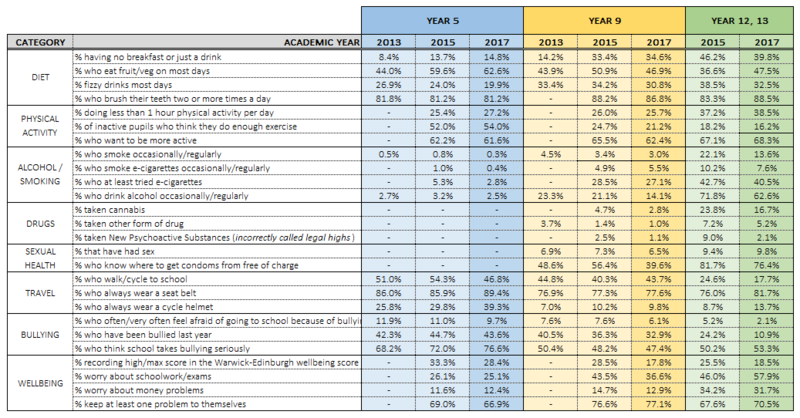 Below are the Year Group reports, as well as two bespoke reports looking at inequalities and multiple health behaviours across the district. Additional analysis will be shown on this page in due course. Any questions that do not have a figure were not asked to that age group in the respective academic year.